This is the second reference I have seen recently mentioning "head like a f'ing orange" and I had no idea who that was about. 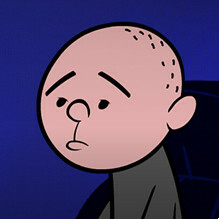 Then I see the name Karl Pilkington and I google him and I still have not heard of him. But after reading about him online and seeing that promo, I soooooo want to see the show. Man, this board is like a made library of ideas, movies and shows.